Cold-Weather Stump Fishing is a combination of stump fishing mixed with factors you might face. 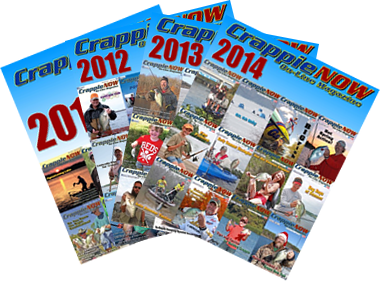 The key to fishing this time of year is survival because the weather and water can be deadly. Every body of water is different but many have stumps. Few popular lakes have more stumps than Reelfoot Lake in Tennessee where winter fishing can be outstanding in 2 to 4 feet of water. I’ve fished wood cover in Illinois that was over 50 feet deep. 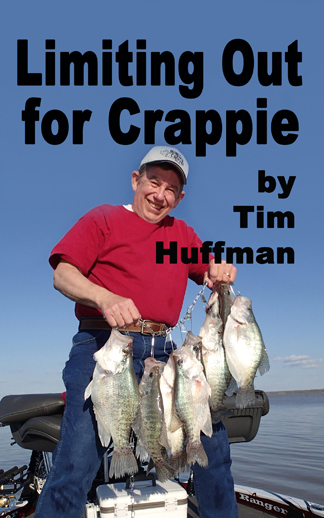 Stumps and winter crappie go together whether shallow, deep or anywhere in between. Josh Gowan is a tournament fisherman from Missouri who grew up fishing the Reelfoot. He says when he goes to a new lake he looks for channel drops and cover. However, Reelfoot is different. Gowan says fish may suspend up but they’ll usually be near or hugging the bottom. A little experimenting will be required to learn exactly what depth to fish. 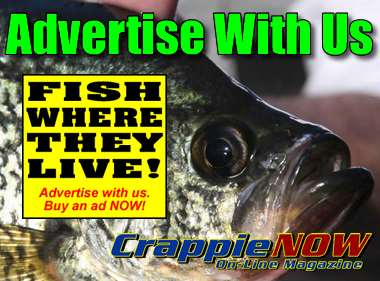 Most experts agree that slow trolling is the best tactic most of the time in submerged stumps, especially on lakes where crappie are deeper. Slow trolling in shallow water requires 14- or 16-foot poles, maybe longer in clear water, but get a little deeper where you’ll find crappie in most lakes and 12-foot poles are long enough and much easier to use than the ultra-long poles. Good racks are important for holding the poles. Driftmaster makes strong, quality holders available in several different models and can be fully adjustable to match the fisherman. Baits vary but minnows are difficult to beat for slow presentations in cold water. Capps will use different tactics but dragging a large chain is one way he slows the boat. When set correctly, it basically stops the boat but he can hit the trolling motor to move ahead. However, he says it’s best to just use the chain and stay off the trolling motor for the quietest presentation possible. His boat control in the wind might include dragging chains or using windsocks. He prefers to use two 50-inch socks. The socks can be kept close to the boat so they don’t hang on stumps as often as a chain. Also, the speed is more consistent with the socks. Water Color: Visibility can increase as water clears in the winter. When this happens it’s important to stay as far from the fish as possible. Light line is important too. Snow/Blizzard: Capps says some of his best fishing has been when other fishermen stay home by the fire. Wind, snow and cold don’t bother the fish as much as it does the fishermen. Staying Safe: Cold and wind can cause hypothermia if you are not prepared. Today’s top quality winter clothing is a great advantage. They can break the wind, insulate and keep you dry in the rain. Good gloves are important. Some fishermen put a small heater in the boat. A fall into the lake can be deadly. A plastic bag with a towel, old coveralls, socks and toboggan is important to carry. Getting dry clothes is critical after a fall into the lake. Towel dry, put on the coveralls, socks and toboggan and get to the ramp. Don’t hesitate getting help because hypothermia can quickly distort your mobility and thinking. Dressing in warm clothes is essential in brutal winter temps. A heater isn’t a bad idea either. Ronnie Capps and Steve Coleman fish a stump field on a cold, snowy day. 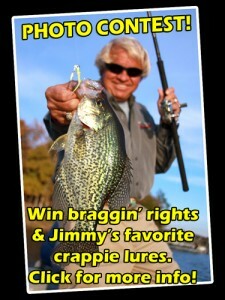 Be safe but don’t let the cold keep you from getting out and enjoying some outstanding winter fishing on the stumps.